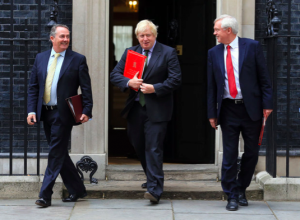 The Backbencher – Who is in the “Brexit Club”? Who is in the “Brexit Club”? Nine months have passed since the Brexit vote and now it finally begins. However, the UK has never been in such disarray. In the last few months, the Government has asked for unity; they have seen everything but. Scotland has gone ahead with its second independence referendum plans and there have been countless protests against Brexit since last June. Not to mention the fact that the old breeds have returned from their political graves in order to spark outrage over Brexit; Blair, Mandelson, Major etc. This Monday, on Good Morning Britain, Alastair Campbell and Nigel Farage got into a rather feisty argument over Brexit with Campbell screaming, “Brexit can be stopped!” Really? Surely, we (as a country) have gone too far and now it is all about fighting for the best deal for Britain. This is also one of the few times in TV history where Piers Morgan was unable to get a word in. It is vital that people express their views and protest when they see fit. 48% voted to remain a part of the EU and it would be unfair if they feel left behind when Brexit begins. However, it is also important not to rerun the debate and fall into a political loop otherwise, no progress will be made. On Tuesday, Hilary Benn (Chair of the Exiting the EU committee) presented a 155 page report on Brexit which was apparently so pessimistic that the Pro-Brexit MPs left the meeting. This included the like of Michael Gove, Dominic Raab and John Whittingdale. This is another display of disunity within parliament, which again is weakening our position. Alastair Campbell has followed in the footsteps of George Osborne and become a newspaper editor. His return to the press sees him become the new Editor-at-large for The New European so I am sure this will not be the last we hear of Campbell’s protests. Nigel Farage on the other hand is having another issue to deal with or rather celebrate, in his case. Douglas Carswell left UKIP and is now standing as an independent much to the delight of Farage, Arron Banks and the rest of their followers. Men like Tony Blair, John Major and Alastair Campbell have been very vocal on this issue and continue to fight for the Remain camp. This also goes for Nigel Farage; “Mr Brexit” has not disappeared from the spotlight just because the referendum is over. These political figures are, of course, highly influential but they won’t be the ones discussing and negotiating on Britain’s behalf. So, who is in the REAL Brexit Club? 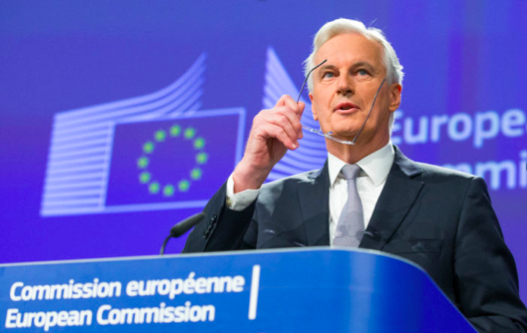 Firstly, you’ve got the two key members; David Davis and Michel Barnier. Davis has had an interesting political career and has shown in the past that he is willing to fight for his beliefs. Despite always claiming to be a Eurosceptic, this did not deter the Pro-EU Prime Minister, John Major, from appointing him as a government whip in the 1990s. Furthermore, he was a former Conservative party leader hopeful, shadow home secretary and even declined a role in the 2010 coalition government. Overall, Davis provides Britain with a strong and tough negotiator who is willing to make sacrifices in order to get the best outcome. Barnier has been described as being a master in diplomacy and his credentials show this. He served as France’s Europe minister and was briefly foreign minister but prior to this he organised France’s 1992 Winter Olympic Games, where he was described as being “vital”. The two chief negotiators will be the ones making the headlines but they will not be alone. The more obvious help will be in the form of their respective teams. Michel Barnier will have indivduals such as Donald Tusk (President of the European Council), Sabine Weyand (Barnier’s second in command) and Didier Seeuws (a high ranking diplomat and leading figure in the European Council). In parallel to this, David Davis has a team just as esteemed as the EU’s. Oliver Robbins who is the top civil servant in the Exiting the EU department will play a crucial role in the talks. He has served as an advisor to several Prime Ministers including David Cameron, Gordon Brown and Tony Blair. Sarah Healey is the director general of Davis’ department and is the second in command of the civil service. Finally, the recently appointed UK ambassador to the EU, Sir Tim Barrow. All these individuals will be on the front line discussing the fate of Britain and the future of its relationship with the EU. Besides the negotiating teams, Davis has allies outside of his department. 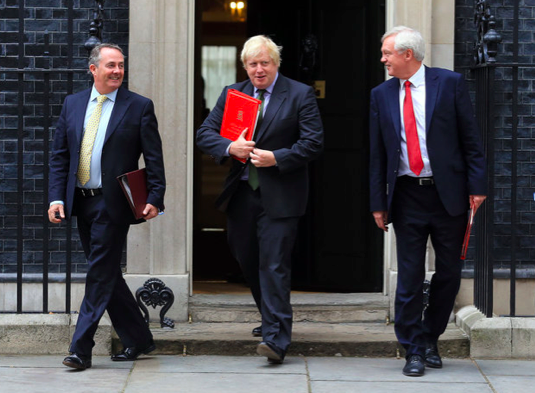 Leading Brexiteers, like Boris Johnson and Liam Fox have been leading lights since the referendum and have been promoting “Global Britain” – aiding Britain’s hand when talks begin. Johnson was appointed Foreign Secretary in May’s cabinet and has been traveling the globe in order to promote Britain and help build international relationships. Similarly, Liam Fox is the Secretary of State for International Trade and he too has been gaining support internationally. The UK’s position may not be as bad as we initially thought. In the build up to the referendum, rhetoric was spewed like there was no tomorrow. Things such as “Project Fear” are still discussed today, as shown by the BBC’s latest Question Time Brexit special. David Davis mentioned on the program that none of the economic forecasts on Brexit have been right, so far. Ah those memories of David Cameron saying that Brexit would trigger World War III. George Osborne speaking of emergency budgets, houses becoming worthless, and everyone becoming poorer; ridiculous. As recently as last week, Lord Heseltine suggested that Brexit allows the Nazis to win World War II. It is safe to say that both politicians and the media have exasperated the situation. Do not get me started on #legsit, thanks for that one, Daily Mail. 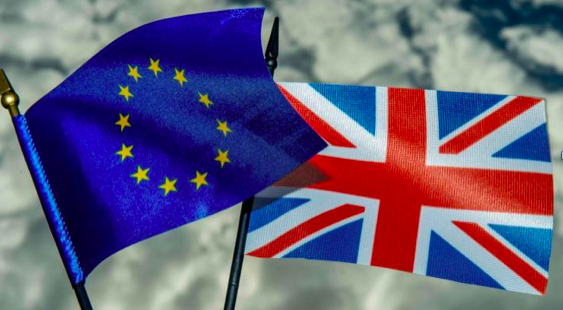 In the coming months, Britain and the EU will begin to make progress in their talks and a new era will slowly begin. Politicians and the media need to be pragmatic and mature in their coverage of the talks; this also goes for the public. Negotiating teams, on both sides, want to see a strong relationship and form a deal that satisfies all. This will not be achievable if all that we hear is negativity rather than constructive criticism and debate.